I (Still) Believe only $9.99 in eBook format Nov 17-24! The good people at Harper Collins have informed me that for the next week the recent volume I co-edited with Joel Lohr, is only $9.99.Click here for details. 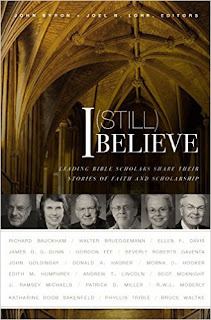 Reviews of "I (Still) Believe"
Although the book hasn't yet been released yet, some have received advance copies of I (Still) Believe: Leading Biblical Scholars Share Their Stories of Faith and Scholarship (Zondervan, 2015). At the Common Denominator Blog Ken Schenck has started a series reviewing each essay. At the Cruxsola blog, Nijay Gupta has some good things to say as well. Like many students, our professors made quite an impression on us. Indeed, our lives have been enriched as a result of our time with them—in their writings, in the classroom, at seminars, tutorials, conferences, and so on—and it’s probably safe to say that we became scholars ourselves because of them. It’s clear that our professors’ lives and faith have touched us. 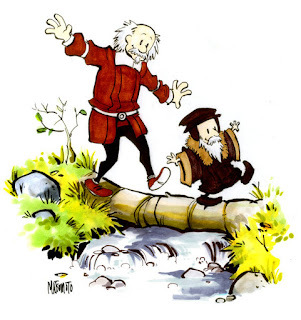 At the same time, we’ve regularly encountered stories in popular books and other media of prominent Bible scholars who have left the faith as a result of their scholarship. These accounts, at times moving and compelling, have reminded us of the tensions in our work, but also that there is more to be told. We know that even while there are those who have journeyed away from their faith, there are many who have not. Indeed, we are personally familiar with a great number of scholars who retained a vibrant, living faith, albeit changed and shaped by their experiences in life and as a scholar. In thinking about this all, we decided to approach some of these people and ask them to tell us their life stories—the stories of their lives as believers and biblical scholars, including the challenges and joys they faced in both areas. The result is about to be published. It’s a collection of stories titled I (Still) Believe and it will published by Zondervan next month. The contributors make up a diverse group of prominent—indeed some of the world’s most influential and popular—senior Bible scholars, both women and men. All of them explore how faith and biblical scholarship intersect, each in their own way. All of them engage with the ever-important question of how serious study of the Bible affects, whether by threatening or enhancing (or both), one’s faith. More than anything this book affirms that testimony, or "witness" is an integral part of the Christian tradition. Testimony still matters. These unique testimonies, each in their own way, provide a mosaic of faith—beautiful, at times subtle, often sophisticated, wonder-filled statements of faith. This is a book that needed to be written, on behalf of all those who live in the pressing, sometimes unbearable tension of a life of scholarly pursuit and personal faith. Through their own diverse stories of faith and life, these stellar biblical scholars show us that their lasting legacy may not be simply their published works, but how they modeled navigating the tension with respect and authenticity, and thus the transformation of their faith rather than loss of it. This is a very important and salutary book for all who struggle holding the critical study of Scripture and a commitment to the apostolic faith together. Scholars from a broad spectrum of denominational and institutional affiliations, who have distinguished themselves as "heavy hitters" in biblical studies, share how faith has been a driving force in their scholarship and how their scholarship has been formative for their faith and practice. This cloud of witnesses, while diverse in so many ways, bears a unified testimony -- biblical scholarship, a living faith, and a commitment to the Church of God can dance hand-in-hand in ever richer and more nuanced steps rather than trip each other up. The book will be released at the beginning of July and can be pre-ordered now. Below is a set of promotional videos in which the co-editors John Byron and Joel Lohr share some of their thoughts on the book. 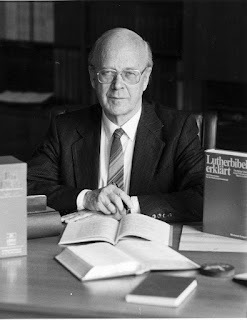 Word is spreading the Professor Eduard Lohse has passed away in Germany at the age of 91. Lohse was prominent both in biblical scholarship and the church. Among his many writings is his commentary on Colossians and Philemon, which is how I was first introduced to his work. I later had the chance to meet him and his wife at the 2002 SNTS conference in Durham. 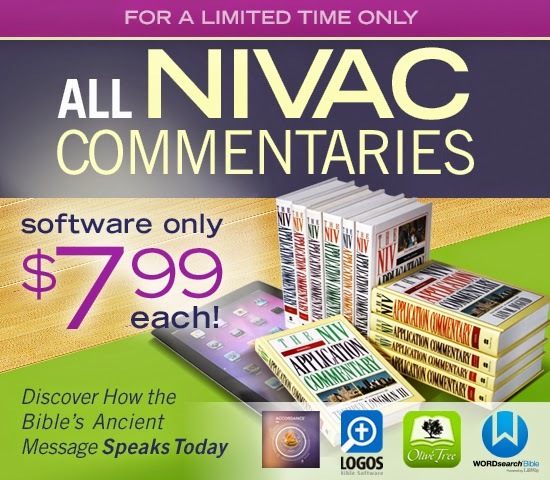 All NIV Application Commentary software on sale for only $7.99 each. I have received word from Zondervan that they are offering a sale on all NIV Application Commentaries. Through May 9, NIVAC software volumes (Accordance, Logos, Olive Tree, and WordSearch). Every volume is $7.99! (Accordance is the exception … they are selling a pack that sums up to $7.99 / volume). 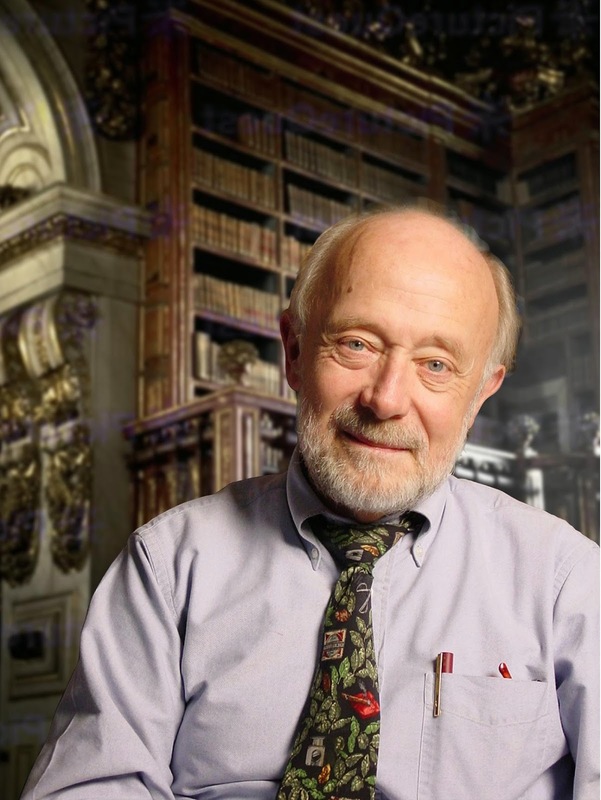 The world of New Testament studies is mourning the passing of another important scholar. Word is spreading that professor Charles E. B. Cranfield has passed away. I am not sure of his exact birth date, but he either was or was very close to 100 years old. Cranfield was professor of New Testament at Durham University. He is probably best known for his commentaries on Paul's Letter to the Romans and the Gospel of Mark. I only met Cranfield once during my time at Durham. Unfortunately I didn't have an opportunity to have much of a conversation with him. But others who followed me at Durham did have the chance to sit down and have coffee with him. You can read about the experiences of Ben Blackwell and Nijay Gupta. I wish I had known he liked coffee! Each year I offer a public lecture at Ashland Theological Seminary. This year I chose to present on the book of Revelation. Below is the video of that lecture. Just by way of orientation, a majority of the audience is made up of people from the community, so this is not a "scholarly presentation." Rather, it is an attempt to put good biblical scholarship in the hands of people who are in the church. Give the audio a chance. It's a bit muffled for the first few minutes, but clears up before I begin speaking. The news about Marcus Borg's death is spreading. Borg was a recognized New Testament scholar who became associated with the Jesus Seminar in the 1980s and 90s. Among his many books were some like Meeting Jesus Again for the First Time and Putting Away Childish Things: A Tale of Faith of Modern Faith. Both reflect his many attempts to bring New Testament scholarship to a non-scholarly audience. Although there were any number of things one could about disagree with Borg, he was always a gentleman. His desire to make the New Testament accessible and useful for those living in the modern age will not only be one of his hallmarks, it will be greatly missed.